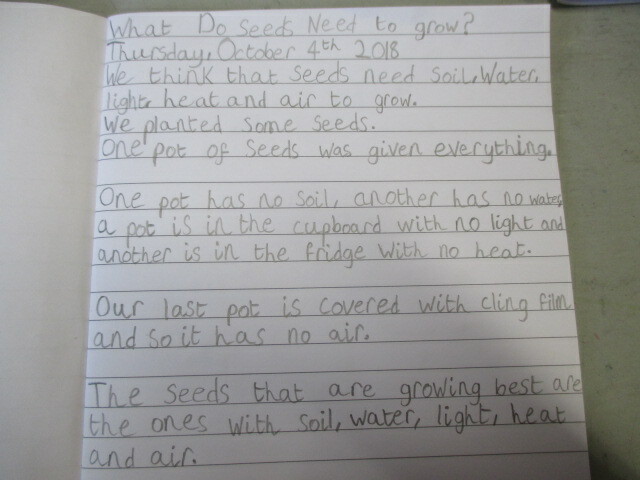 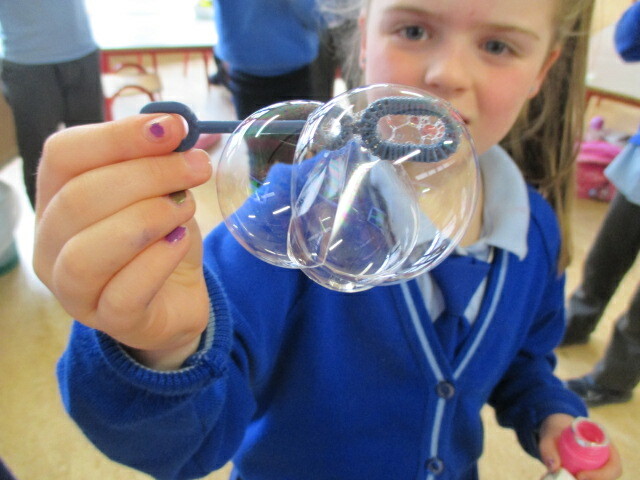 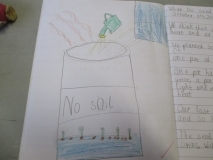 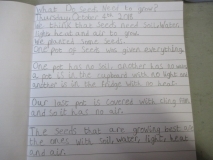 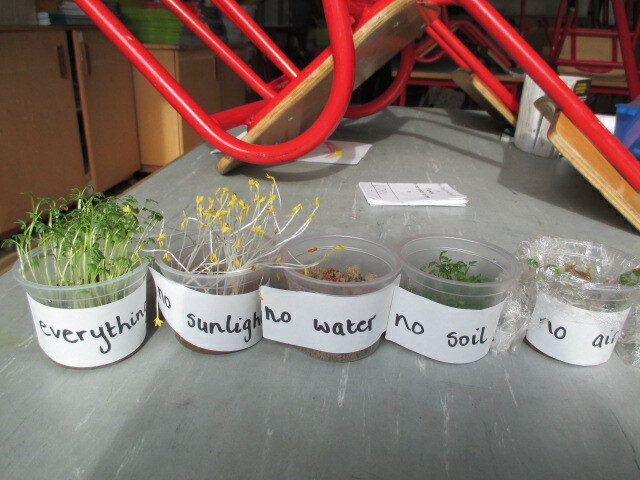 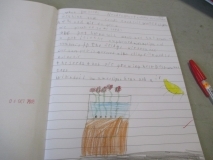 We think that seeds need soil, light, air, heat and water to grow. 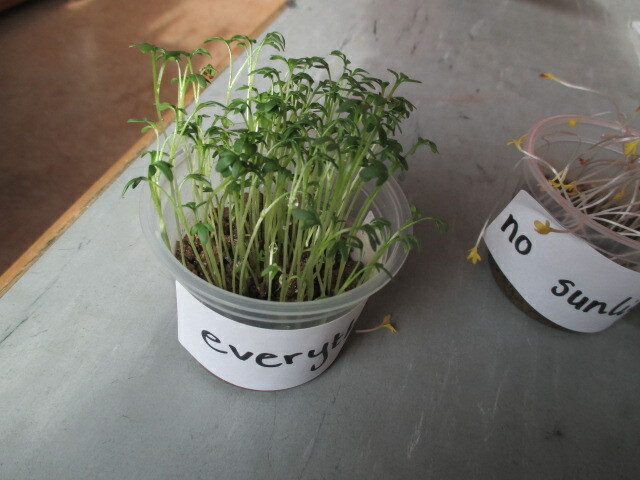 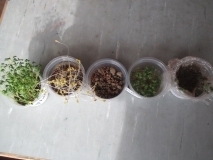 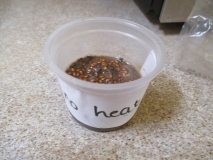 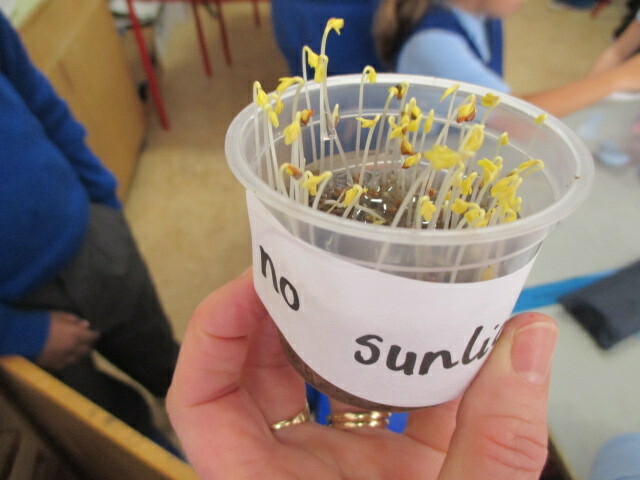 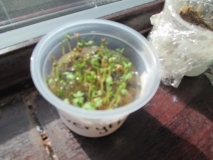 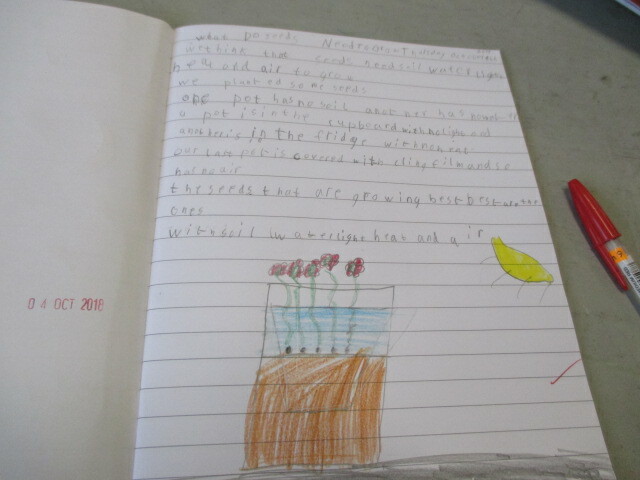 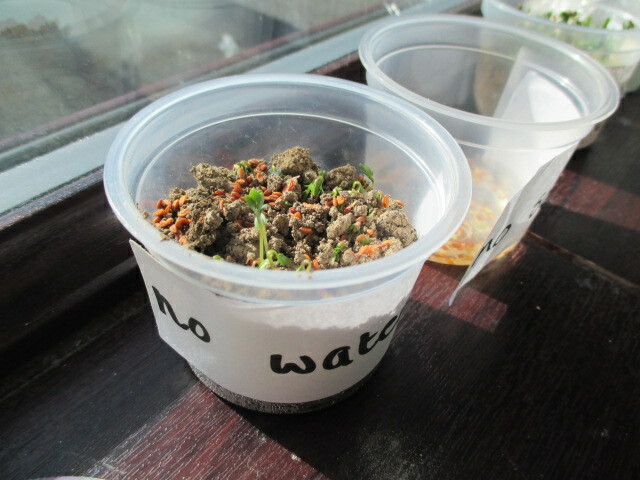 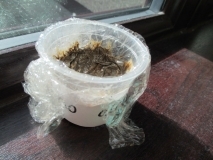 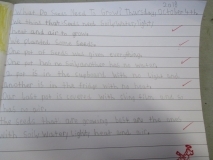 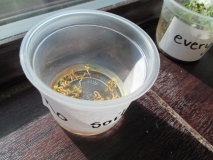 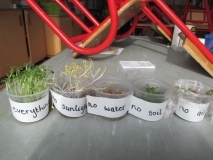 We decided to test this out by planting cress seeds in different pots. 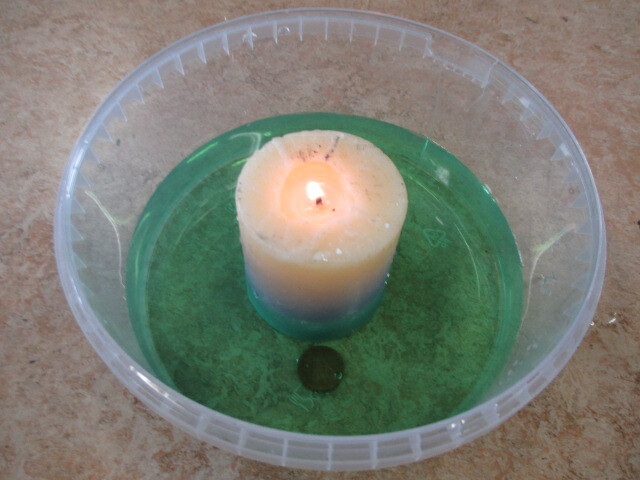 One pot of seeds will grow in soil, with light, air, heat and water. 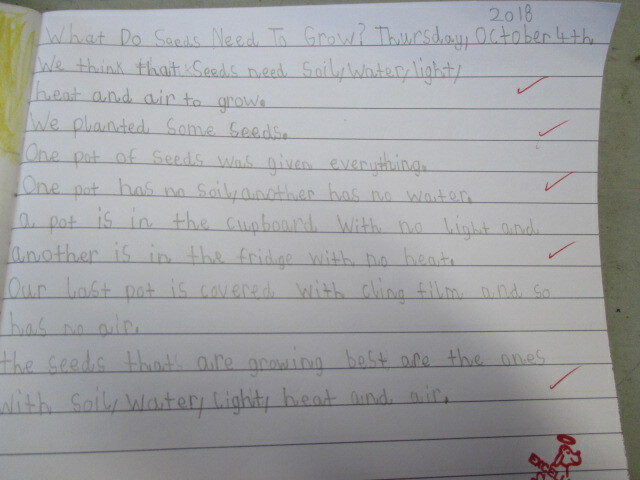 No light (in the cupboard), no soil (pot with only water), no air (pot is covered in cling film), no heat (in the fridge), no water. We will observe over time and see what happens.